Like many my age, the ’80s brought with it a total revamp of what had come before. Certainly, beyond the padded shoulders, leg warmers, and big hair shaping the period. Music, and its mode of delivery, changed right along with it. As I’ve continually mentioned, whatever doldrums and cynicism the decade of Watergate left behind, the popular arts of that subsequent period seemed to relish (and happily succeed in a semi-profane manner) in jolting that out of folk. Hey, it was the ’70s and there was bound to be a reaction. However, to my regret, one of my responses was totally buying into the technical revolution of Compact Disc. Granted, the digital optical disc data storage format was developed during the turbulent period of the Me Decade, so maybe I was already susceptible to its “come-hither” promises. Who knows. By ’82, there were CDs I was buying to load on to one of the early players I could afford, which I’d already connected to my ’70s-era stereo components. Of course, I began to look upon that old turntable of mine, and records, with a little disdain…and Reagan said those tax breaks to the rich would trickle down to me, too. Long story short, the LPs and 45s began their long round-trip away from where I lived. That phonograph, as well, would find another home. New artists and albums arrived at my doorstep via optical disc from that point forward. 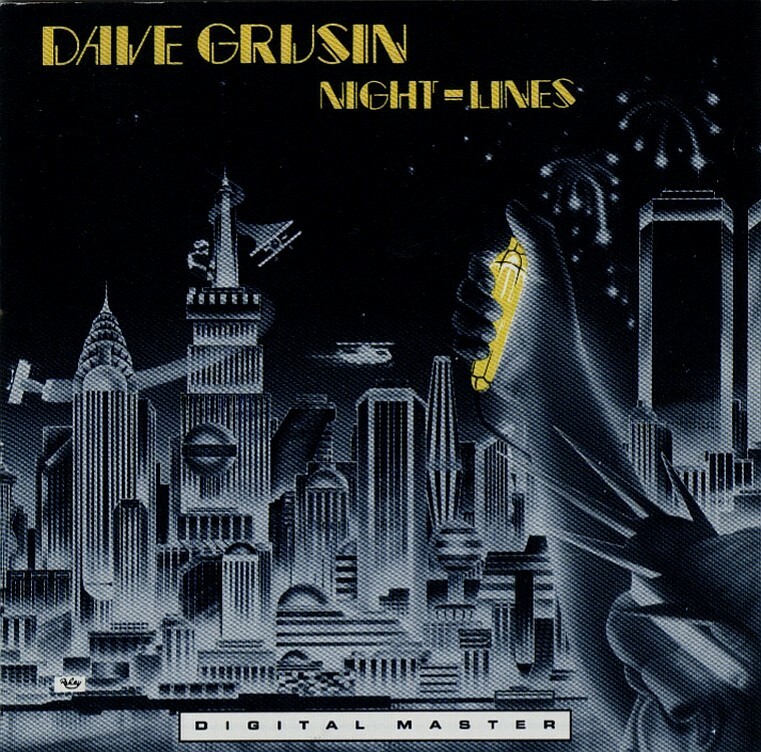 This was how the underrated composer, arranger, and pianist Dave Grusin entered my listening life. Digitally. First with One of a Kind (originally released in 1977), and then Mountain Dance (1980), before a favorite of his, Night-Lines, landed. I’d turn on that “repeat” feature on the then new Akai player more often than not for this CD. I’ve already documented how he’d by this time, much like the ’80s, made a distinct impression with his theme song for St. Elsewhere, which was also preoccupying my thoughts back then. To a good extent, much of composer’s work from the previous year, primarily from his soundtrack for Tootsie, had an affect on this album. I don’t mind. Like the decade, this classic by Grusin is more of uplift with its mix of Jazz-Fusion instrumentals, catchy melodies, and wonderful vocals care of Gary Roda and the great Phoebe Snow. Created many a good memory care of this. None more so than the kickoff track that headlines this Friday. Written by another famed keyboardist and songwriter, which happened to be Dave’s brother, Don, Power Wave was much like its title. An infectious syncopation that builds simply, but with that well-defined neo-jazz strain the ’70s were known for. With percussionist Buddy Williams keeping beat, Marcus Miller on guitar, and Dave tickling the keyboards (along with arranging it all), it brought the head to bobbin’ and those fingers to snap more than well. A song you can literally feel the energy burst through from the start as it escalates to a wonderful crescendo. …and the effect of those digital memories on the analog chronicling all this.